Background: At the May 2017 Commission meeting, Commissioner Doug Hornsby brought up that he and his wife were the targets of anonymous threats to expose his decades old conviction on a drug charge, something he served time for. Hornsby then went on to become a well regarded radiologist and built a life here in North Bay Village, specifically on North Bay Island, which let's face it, is something of a gated lunatic asylum. Anyway, things were going along swimmingly until he fell in with the wrong crowd, the mayor and her friends, who talked him into serving as an appointed commissioner at large to occupy the seat vacated by Jorge Gonzalez. This was probably not a good idea for him, although it turned out well for the Village because he is diligent, open, questions items and apart from mumbling in a Southern drawl, went about the business of the commission in a pretty good way. Now I mention that he had fallen in with the wrong crowd, and I mentioned the mayor. Our mayor. Connie Kreps, who had been disappointed by yet another man, Village Manager Frank Rollason, and was leading a move to fire him, a move that would take three commission votes. In a not all surprising move on Hornsby's part, he questioned the wisdom of firing the manager and thereby frustrated the mayor's plans. Little more background: Hornsby, a conscientious objector during the Vietnam War, served as a medic in that war and has the medals to prove it. Those of us old enough to remember the time and place also know that he was not the first young man to come back with a problem. The best part is that when he hit what had to be rock bottom with the arrest, he became more than his problem. Hornsby has not advertised his troubles but never shied away or denied them. The Current Situation: There are at least two investigations happening now. One is regarding Hornsby's eligibility to vote and consequently serve on the commission. Florida is an upside down state - the further north you go, the more southern it becomes - and has a Jim Crow era law still on the books that deprive people who have committed a crime and served their time the opportunity to vote. Now whether this applied to Doug Hornsby who was convicted in Tennessee and has had his rights restored is an open, pretty easy question. We should long ago have had that answer but for the second investigation. The second investigation is a far more serious one, a federal investigation of a federal crime. Attempting to extort a public official, anonymously or otherwise, is a violation of the Hobbs Act and carries serious penalties. The geniuses behind the anonymous attack apparently expected Hornsby to quietly resign and they could try again to get three votes but he didn't, because he's like that. So this Gang That Couldn't Shoot Straight managed to step on their own posteriors and until the Federal case is resolved, we are not likely to have any opinions on the voter case. We sit and wait, right? Ñooo! Not in North Bay Village. The Lawsuit: You see regardless of how this turns out, our mayor wants Hornsby the hell off the commission. She has been waging a war in the press, from the dais, and in the streets to make that happen. And so, obligingly, two friends of hers, Laura Hughes Cattabriga, the chair of our Budget and Oversight Committee, and Marlene Brody, joined a group of residents from the mayor's Wednesday Domino Club to file a lawsuit. Now that lawsuit won't go anywhere as there is a current investigation into the Hornsby matter but the lawsuit might have been understandable if the lawsuit simply requested the court to rule on Dr. Hornsby's eligibility. But it goes way beyond that. The lawsuit does ask for that opinion, and then proceeds to accuse the Village Manager, the Village Attorney, and strangely Commissioner Andreana Jackson of conspiring to put Hornsby on the commission and keep him there. The whole crazy mess is here, with the later Jackson amendment here. This stuff is seriously bananas. Why file this when the state is already on it? Why make accusations that don't have a shred of proof? What competent attorney would advise you to do that? Well, the attorney representing the aggrieved citizens is none other than former America Idol contestant, or rather Disney's unofficial version since he is over 28, JC Planas. 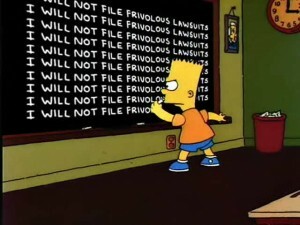 Planas is a good lawyer and he must know that this lawsuit is going nowhere. Why do it then? Well, it makes for good press and there are reports around town that the Federal investigation is getting very hot for some people in the gated island beautiful, so one conjecture is that it is a smokescreen to accomplish what the extortionists could not do by anonymous means, get Hornsy the hell off the commission so the mayor can fire the Village Manager and Attorney and maybe take the pressure off so the federal investigation goes away. Or maybe it's just North Bay Village Crazy™ but the net effect is that very little, by which I mean nothing, is happening on the commission as this insane drama plays out. And that, my friends, is What The Hell Is Going On.